Centrum Performance Tablets is specially formulated to give an exceptional level of energy to women and men. It has all natural ingredients and many essential vitamins which are used to enhance the stamina and support the immune system. It is recommended by experts that you should take only one tablet of Centrum Performance Tablets in a day with plain water for better result but do not exceed the recommended rose. 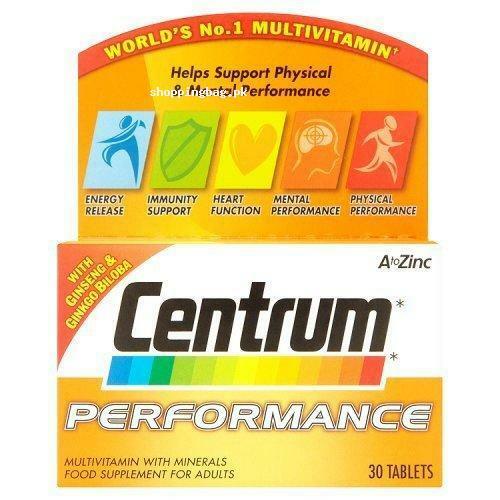 Centrum Performance Tablets should only be recommended for adults of over the age 16. Find Centrum Performance Tablets price in Pakistan via online shopping in Pakistan and buy it in reasonable price. You will get Amazon imported Centrum Performance Tablets at your doorstep anywhere in Pakistan with the facility of cash on delivery.